WMI Browser is a core system module and comes installed with OiDViEW Professional. 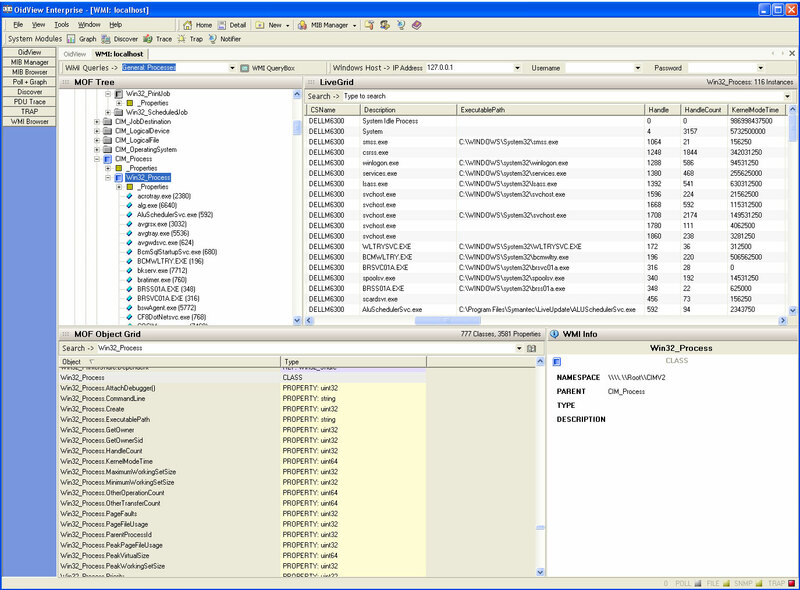 OiDViEW WMI Browser is a Windows management tool that uses the WMI protocol to talk to Microsoft Windows workstations and servers on a computer network. OiDViEW WMI Browser will run on any Windows operating system. WMI Browser can theoretically manage any WMI capable device on the network (e.g. 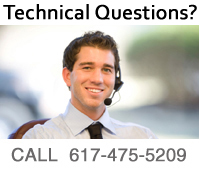 Hosts running Windows Operating System), assuming you have access. Using OiDViEW's WMI Browser, IT engineers and support personnel can easily view OS specific data and administer Microsoft Windows Systems that you could not oridinarily do with other protocols like SNMP. Have it all at your fingertips! MOF Tree representation, searchable MOF variable grids, and MOF variable definition detail windows are all readily available on the same screen (unlike other WMI Browsers)! Local MOF files are automatically parsed and presented in the WMI Info panel, while values are translated according to the MOF definition and presented in the LiveGrid. The data output in the LiveGrid can be sorted and manipulated in many different ways. Retrieved Instances are presented in both the LiveGrid and the MOF Tree. Ultimate Query Control See the automatically generated queries that the WMI browser creates when you use the browser. Also, easily tweak them or even write your own queries in WQL and execute them against any Windows Workstation or Server. Built-in MOF Compiler The WMI browser automatically compiles local MOF files.